• The David and Lucille Packard Foundation are providing a one-time grant to NALEO Educational Fund for outreach in California counties. This will help ensure a more accurate count in the 2020 census. • If the population is undercounted or some families do not answer questions because they are scared of repercussions (i.e., a citizenship question), this will affect funding for programs that support those very same families. • Read about why the 2020 Census is critical due to its unparalleled influence over funding. The U.S. Secretary of Commerce is directing the U.S. Census Bureau to add a citizenship question to the 2020 census for the first time since 1950. This would have a chilling effect on participation in the decennial census, especially in immigrant communities, and for U.S. citizens who fear repercussions for undocumented family members. Because this could result in yet another concerning undercount of children and families, the Packard Foundation joined over 200 funding organizations in August to send a letter to the Census Bureau calling for the removal of the citizenship question. 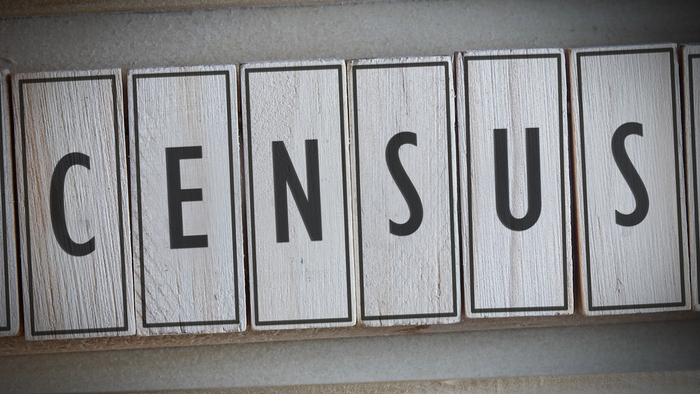 The census offers data that impact how the government operates across the country, from drawing electoral districts and local boundaries to allocating federal funding. An undercount in the census would mean underfunding vital programs that support children and families, like Head Start, Medicare, the Supplemental Nutrition Assistance Program, and school lunch programs—all of which are crucial complements to the work of our grantee partners. The addition of the citizenship question is not the only challenge to an accurate count in 2020. The process is also largely moving to an online format and away from door-to-door outreach in seeking initial responses. This could prove problematic for accurate counts of people who do not have household internet access, or those who have limited internet access. With these concerns in mind, we have decided to act. While the Packard Foundation does not have a grantmaking program dedicated to civic engagement issues, our one-time grant to NALEO Educational Fund supports efforts to develop and conduct outreach to California counties with the most undercounted young children to help ensure a complete and accurate count in 2020. Interested in learning more about Human Rights? Other readers at Giving Compass found the following articles helpful for impact giving related to Human Rights. The Lawrence School is recognized as a leader among schools for children who learn differently. It took years — navigating crises and pushing boundaries — to get where the school is today. Yet, as Head of School Lou Salza writes, their quest for high performance continues. Complacency is the enemy I fear most on the journey to high performance. As programs, finance, governance, and outreach get better and stronger, there is a universal gravitational pull — a siren song — seducing us with the feeling that we have arrived at some hoped-for “destination.” This sense of self-satisfaction is a killer. It kills initiative, diminishes drive, and discourages the disruptive, innovative thinking required to keep on the move toward excellence and high performance. In the past, for our leadership team’s annual reviews, I’ve chosen books on topics relevant to our mission and asked everyone to respond collaboratively to open-ended questions. The dialogue — which was far more interesting and valuable than the usual fare at annual review time — would result in some insights into how we could function better as individuals and as a team and how we could more effectively advance our mission. But then I contributed to the Pillar 5 (culture of learning) proof points for the Performance Imperative Organizational Self-Assessment (PIOSA). I immediately realized that they would help us do an even deeper dive into how our team works together. A good way to complement your interest in Civil Society is to connect with others. Check out these events, galas, conferences or volunteering opportunities related to Civil Society. Civil Society is an important topic. Other members found these Giving Funds, Charitable Organizations and Projects aggregated by Giving Compass to be relevant to individuals with a passion for Civil Society.